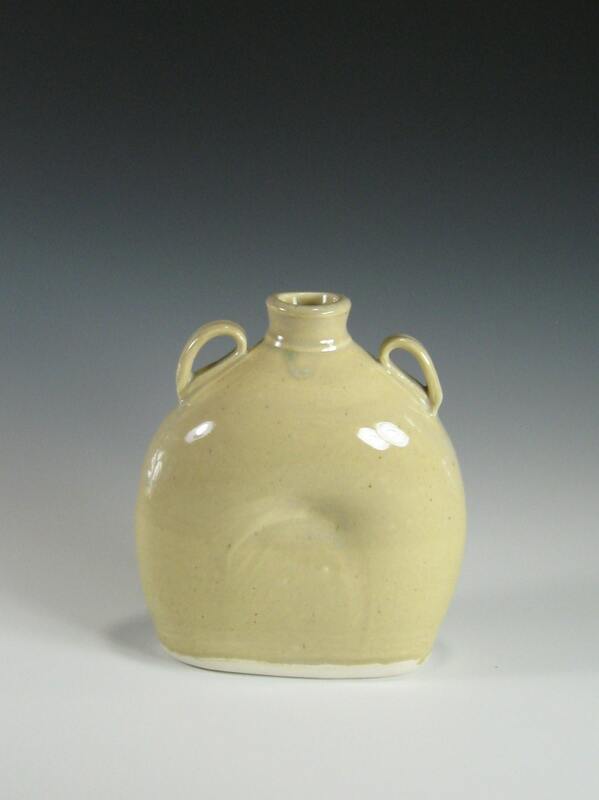 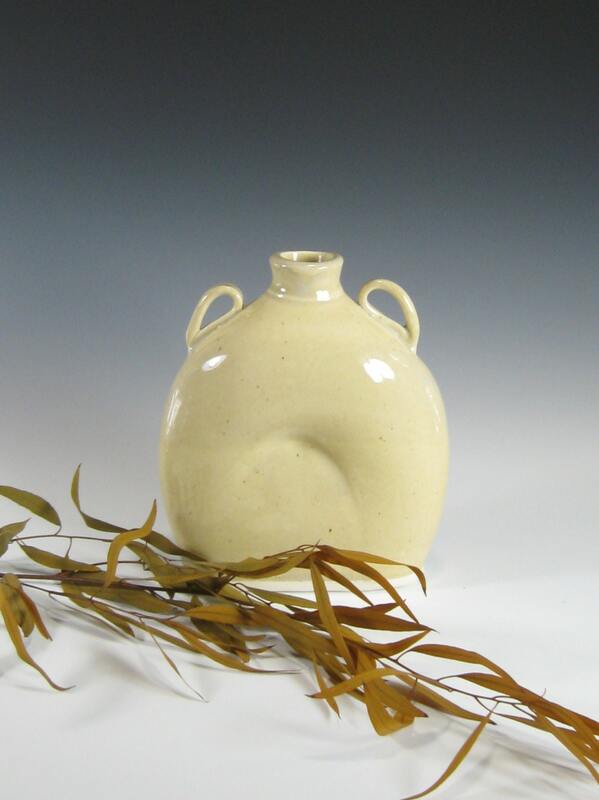 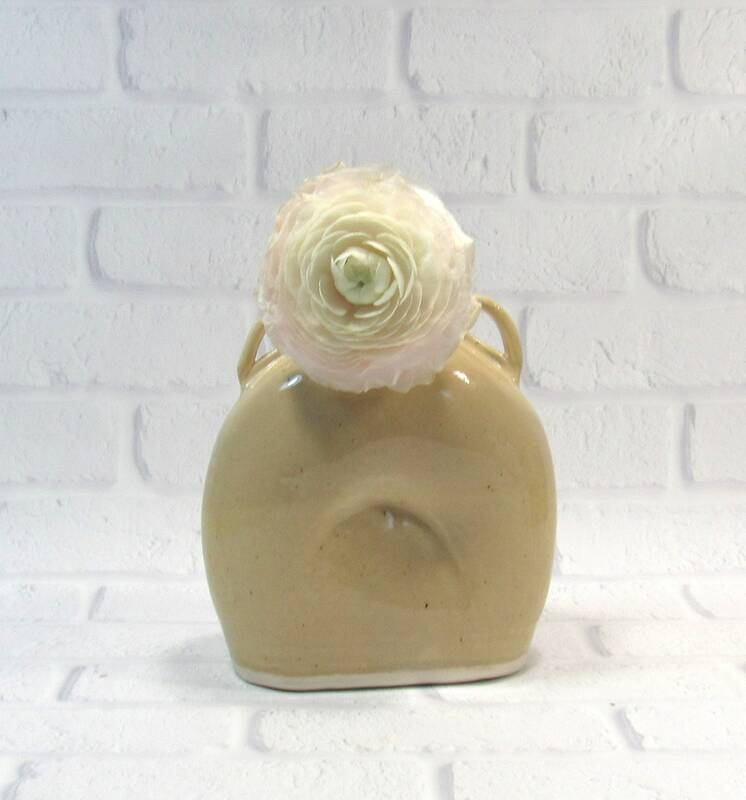 This oval flask bottle vase will look wonderful in that perfect nook in your contemporary home! 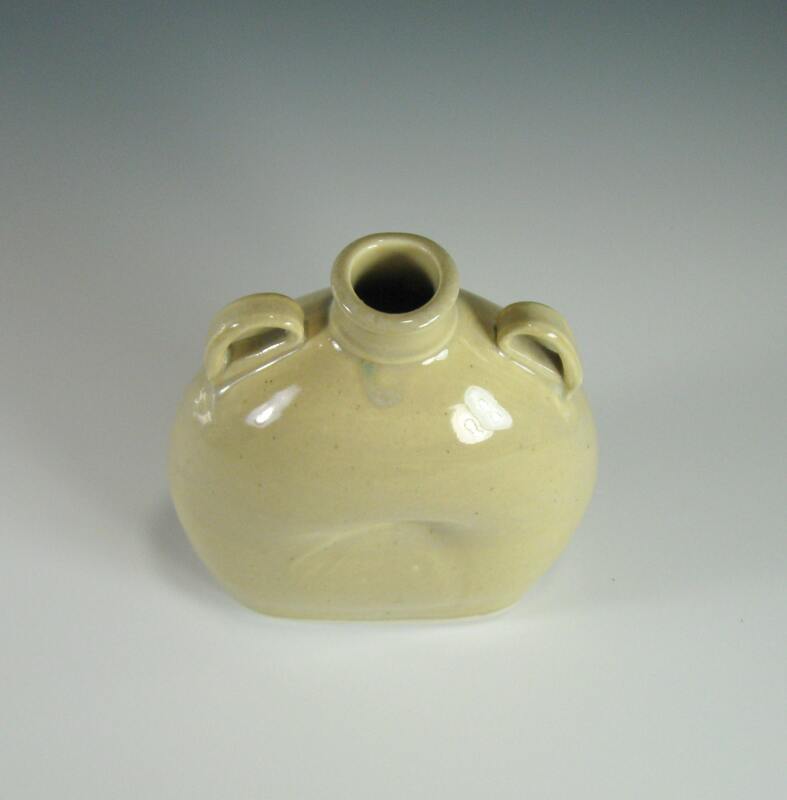 Use it as a weed pot or bud vase on your mantelpiece. 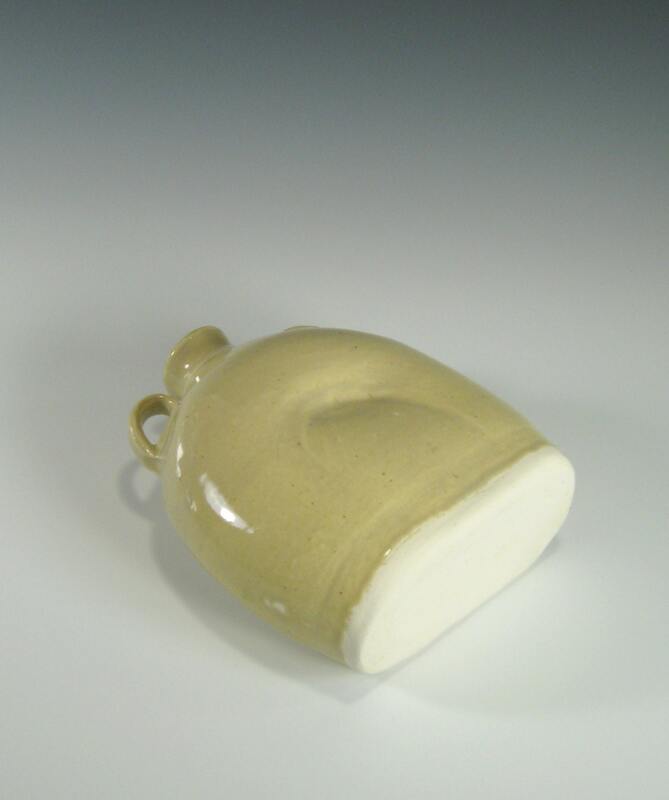 Will make a great gift for Mom or Nana, as well as a wonderful Teacher gift. 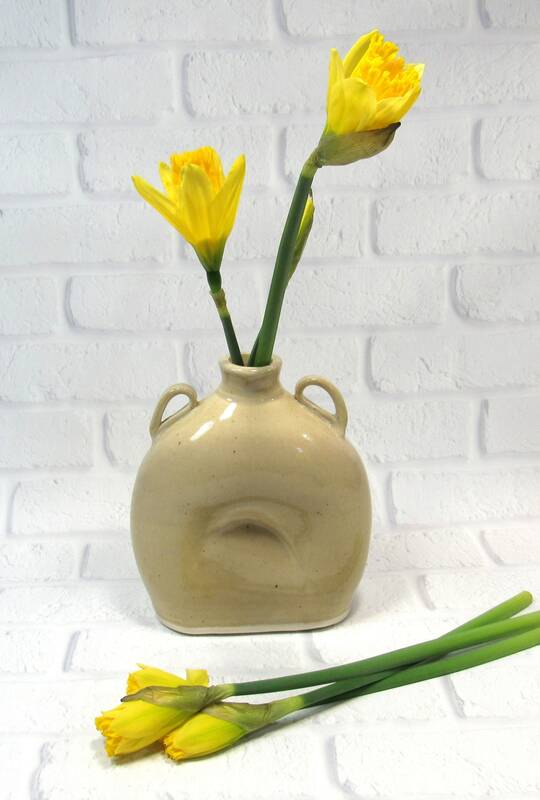 I made this soft yellow oval vase with handles on the potter's wheel as a cylindrical form and altered once the clay was dry enough. 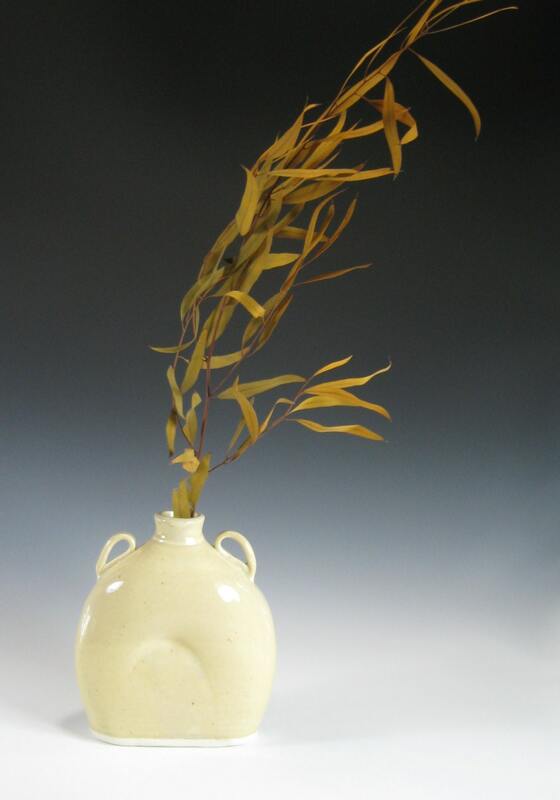 The vase is 6.25 inches tall and 5.5 inches at its widest.